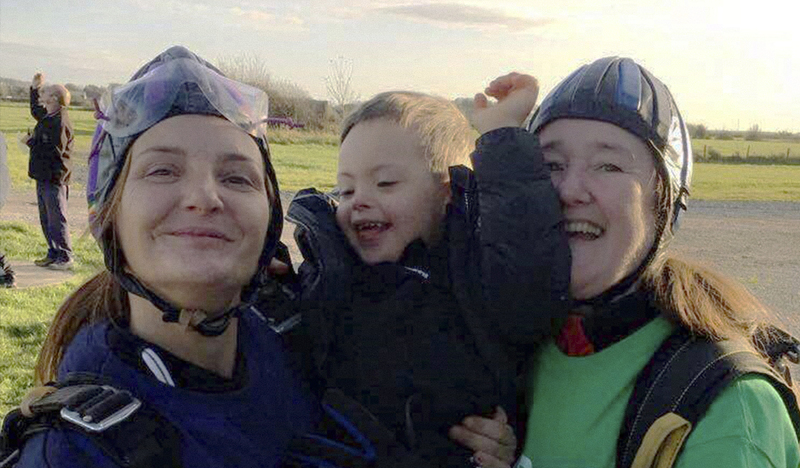 Joanne Shaw and Kath O’Reilly, both from Manchester, took to the skies to complete their sponsored skydive, smashing their initial £790 fundraising target and raising £1355. Their fundraising will enable Rainbow Trust to provide 59 hours of support to a family caring for a terminally ill child, helping them make the most of precious time. Joanne knows only too well how vital this support can be, her grandson Frankii has chronic lung disease and has Downs Syndrome, Rainbow Trust supports her daughter Steph, helping out with hospital appointments, the weekly shop and ensuring that Frankie’s brother Jackson is also supported. Both ladies managed to smash their fundraising target with the generosity of family and friends, as well as holding a party fundraiser. If you would like to take to the skies for Rainbow Trust, we’d love to have you jump for us! We are here to provide you with fundraising advice to help you hit your target, so don’t worry we will help you get there. Click here to find out everything you’ll need to know!